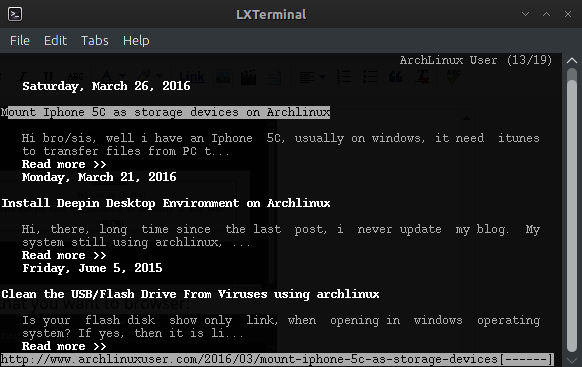 ELinks is a free text-based web browser for Unix-like operating systems. Elinks was forked from Links. 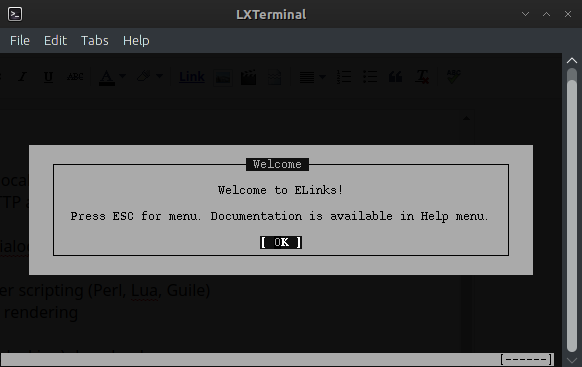 To run Elinks, you can open on start menu, or by typing "elinks" on terminal. 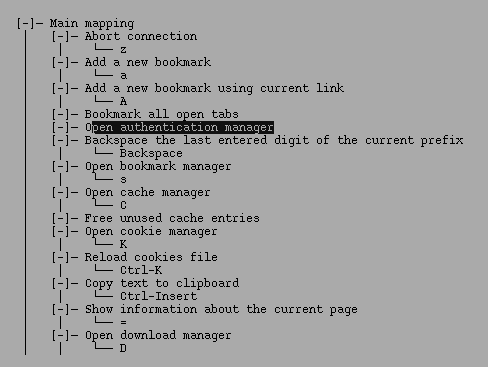 Here's the welcome menu of Elinks. 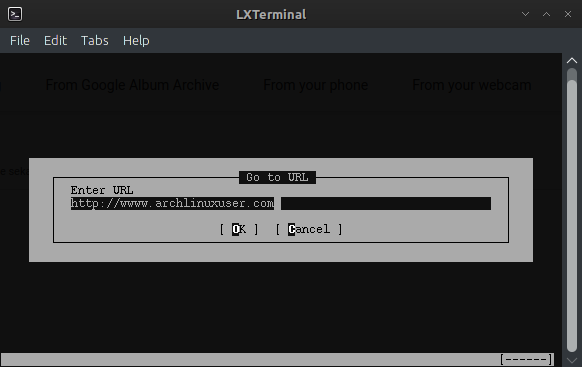 That's the default key, but if you want to edit by your self you can press "K" button to setup the key binding. 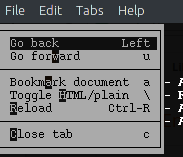 Ok that's it, you can explore Elinks browser by yourself, enjoy.